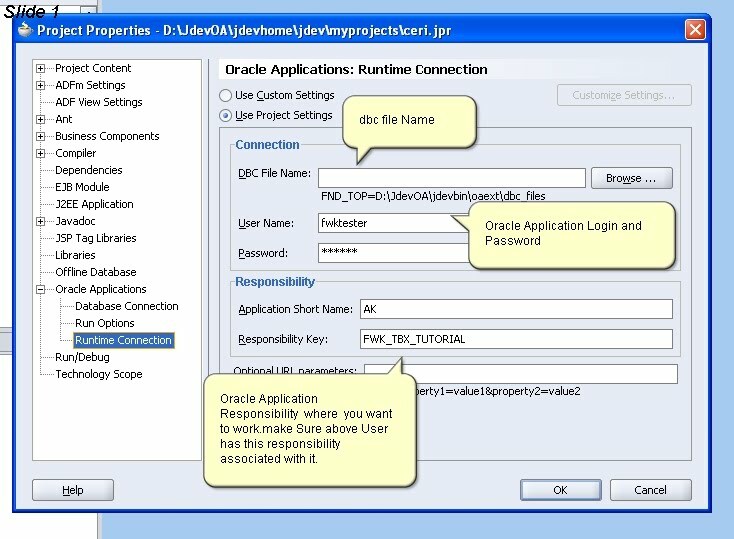 1.Down Load from http://www.oracle.com/ ( Best is go to metalink and download the version suitable for your Oracle Application Release). 2.Go to Control Panel > System> System properties > Advance tab > Envirnoment Variables button > Define your JDev Home by means of defining Variable JDEV_USER_HOME and assign your Path like . 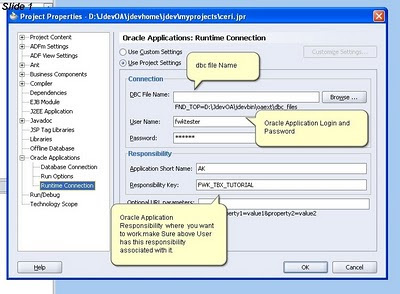 3.Open/Create OAF Project ( you need to define workspace for OA(Oracle Application) and then a Project inside that. ( Please Refer the Below Screen Short for Further Details).